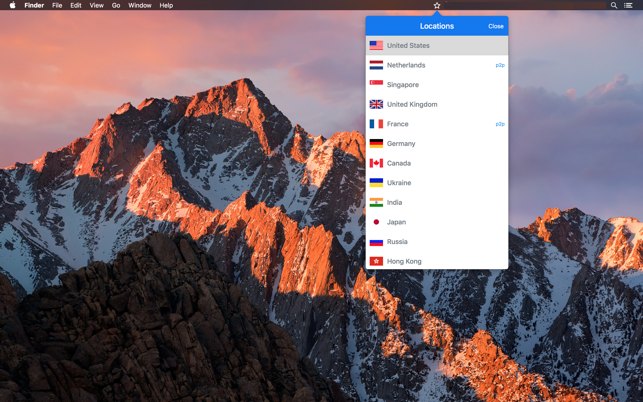 Star VPN is best free VPN for macOS with unlimited bandwidth. No logs saved. No registration required. One click connect to fastest VPN servers. Star VPN provides additional level of security while your device connected to WiFi hotspots and other public internet sources. All your internet traffic is strongly encrypted. 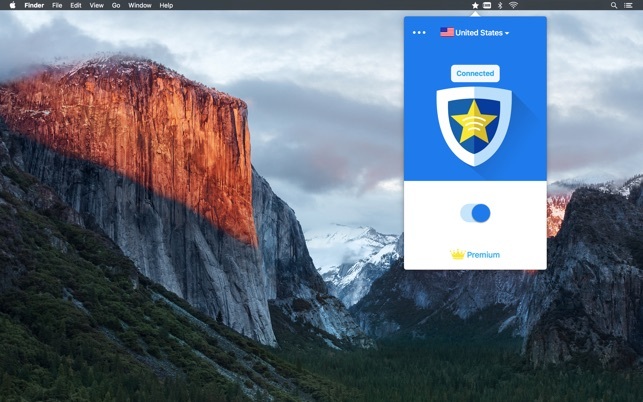 Star VPN lets you access websites and apps anonymously with no concern about being tracked by your ISP or anybody else as your IP address will be changed. Year: $35.99 / 12 = only $2.99 per month! So i have been using Star VPN for about a bit more than a year now and its been amazing for the most part. There have been some issues but they were all fixed pretty quickly. It connected most of the time and the connection speed was really fast, but since the last update it would take many tries to connect and even when it was connected the connection was very slow. I hope the developers can check and review the update and see if there is a solution and release another update which will solve the issues. I'm using the starvpn for more than a year, i have even subiscribed as premium many months ago, and everything was just perfect. However, unfortunately the last update they released today was a total loss, I hope starvpn team recheck it, as it's not really connecting smoothly as it used to be anymore, and you can feel how slow your connection started to be. I recommend everyone not to apply this update and hopefully the starvpn team can check and make another update avilable soon which can solve these kind of new problems. Thank you for feedback. Could you please contact us at support@starvpnapp.com and provide more details about your recent issues? We would love to resolve them. Best free vpn on MAC! I am not that kind of person that would love to write review, but I must give a 5 star to StarVPN. Though it is not super fast, and it doesn’t guarantee connection every time, it is indeed reliable and great. I have also tried expressVPN and I think the user experience is similar between these two. I haven’t updated for the latest version and I am not sure whether I would love to give it a try after seeing the recent feedback. Anyway, it is a great VPN and I hope it could strive.